Carmine J. Carolei is the Managing Partner of the ADM Hopewell Junction, Dutchess County, New York office. 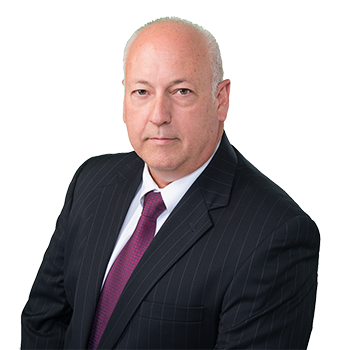 Mr. Carolei is an active litigator in cases pending from Bronx County north to the state capitol in Albany, and extending through central New York State. Mr. Carolei is involved in all aspects of civil litigation defense, with an emphasis in construction site accidents, toxic torts, school district litigation, transportation, product liability and professional liability matters. He also specializes in real estate litigation, including easements, land disputes, adverse possession claims and claims against real estate brokers and appraisers. Mr. Carolei represents municipalities in claims against towns and town boards, including the Zoning Board of Appeals and Planning Boards. He also handles veterinary malpractice claims in all courts and represents clients in licensing matters. Mr. Carolei is the past president of the Mid-Hudson Claims Association. He has frequently lectured to numerous organizations on various liability topics.